The musician’s funeral will be held on Saturday, June 30, with the private service also scheduled to begin at 3:33 p.m. Following the services on Saturday and Sunday, Vinnie will be buried alongside his mother and brother. 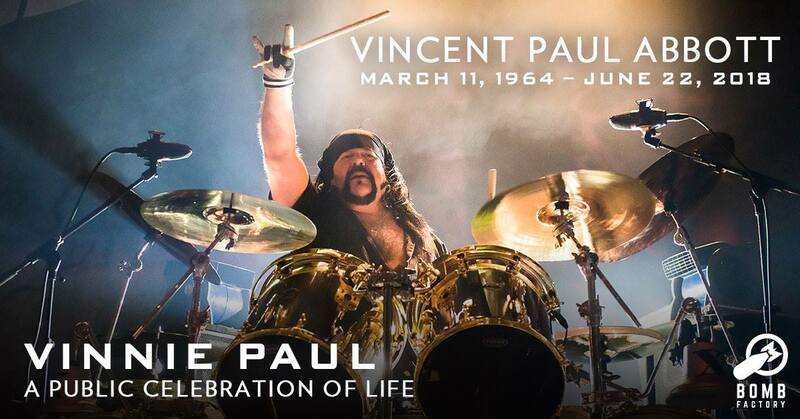 Vinnie passed away on Friday (June 22) at his home in Las Vegas at the age of 54. The drummer’s death “did not appear suspicious,” according to the official report of the event recorded by Metropolitan Police officers. Sources close to Vinnie told the Las Vegas Review-Journal that he suffered a “major heart attack,” but that information has not been corroborated yet by an official source. Vinnie had reportedly finished laying down drum tracks for the next HELLYEAH album, although there is no word yet on when or if that LP will see the light of day. 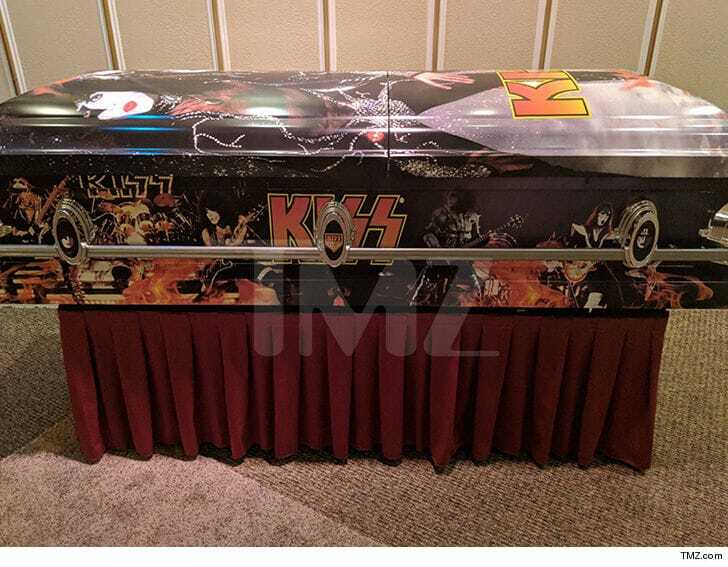 According to TMZ, Vinnie Paul Abbott will be buried in a custom “Kiss Casket” provided by Gene Simmons and Paul Stanley. The casket was offered as a gift at Vinnie‘s family’s request. The former PANTERA drummer’s brother, “Dimebag” Darrell Abbott, was buried in the original KISS casket prototype in 2004 after his untimely death. The coffin featured the faces of the four founding members of KISS, the KISS logo and the words “Kiss Forever”. Darrell was a huge KISS fan and even had a tattoo of original KISS guitarist Ace Frehley on his chest. In addition, Darrell had Frehley autograph it and had that tattooed to his body as well. 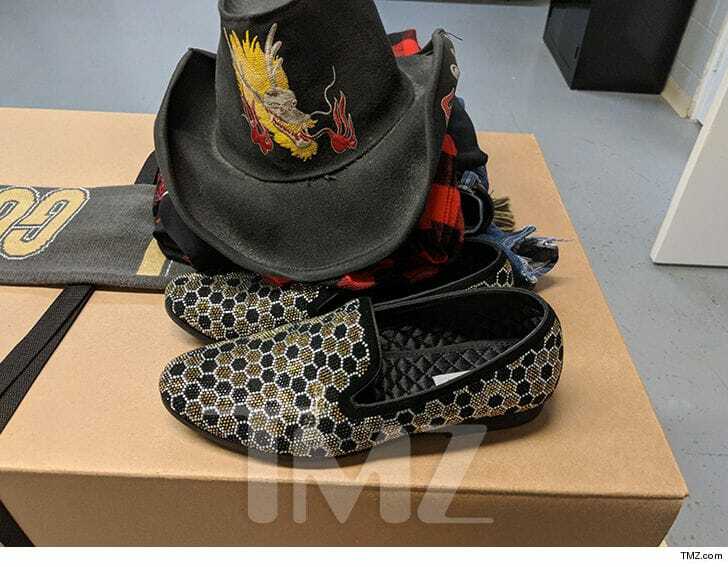 Vinnie will also be laid to rest in some of his clothes, including his hat, shoes and flannel, among other items.